Posted on May 14, 2015 August 6, 2015 Author MadaoWhy So Serious? 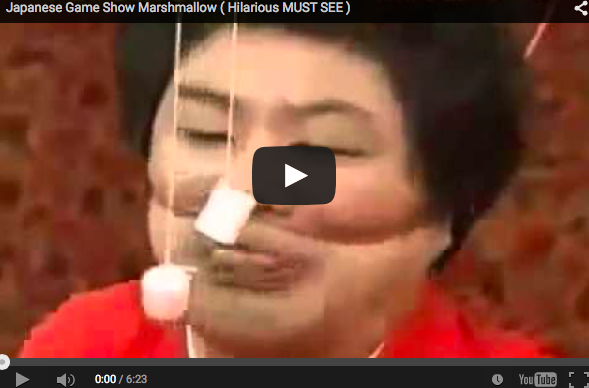 This is a very popular game segment known as Gaki No Tsukai, (The Marshmallow Rubber Band game show.) and it is one of the funniest Japanese game shows. The goal of the game is to have the contestants eat marshmallows dangled on a string in front of them when their face is strapped against a rubber band that’s stretched across their face. You can image their faces when they try to get to the marshmallows. They are only allowed to use their mouth to grab the candy, and not their hands. It’s hilarious!